A well-designed landscape by Medaugh's Landscaping is a delight for your family, enhances your neighborhood & adds to the resale value of your property. But landscape design involves a whole lot more than the placing of trees, shrubs and other plants on your property. 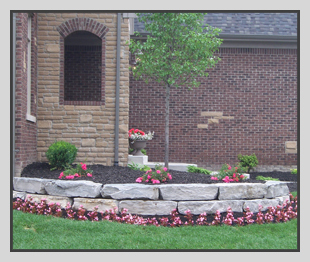 Good landscaping deals with the proper arrangement or organization of outdoor space for human satisfaction and enjoyment. Landscaping may also involve other considerations such as water use, energy efficiency, the attraction or repulsion of birds and insects, human space utilization & the way the landscape works with surrounding buildings. 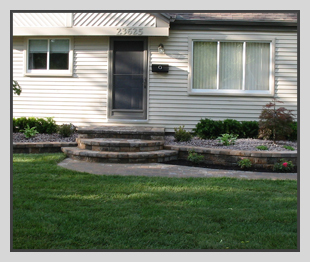 With Medaugh's Landscaping as your landscaping and hardscaping provider you can certain that your landscaping project will consider all related aspects of your home, your living style and your yard uses. We listen to your desires for colors, types of plants, maintenance needs and how you want your landscaping to impact your home - then we will recommend ways to achieve your desires including a professional design or redesign of a part of your entire yard. The plants and trees we suggest are those that we feel will best meet your desires and make your yard look its best with optimal maintenance needs.